Cahal Pech , located on the southern outskirts of San Ignacio Town contains evidence of some of the earliest Maya settlements in Belize. Data recovered at the center indicates that the first settlers began to occupy the site sometime between 1200 to 1000 B.C. The buildings seen today probably date from the Classic period (A.D. 300-800) . It is not known why the site was abandoned. 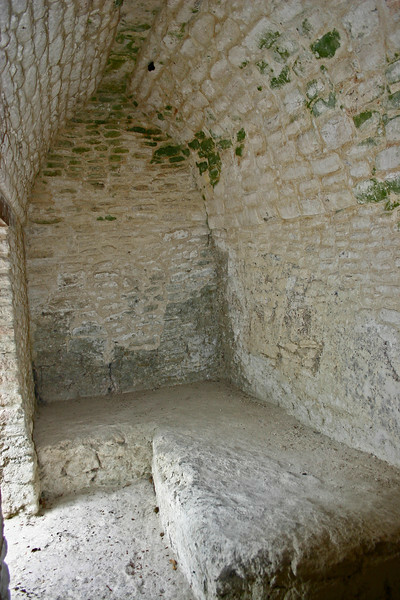 This area is believed to be a bedroom.